- Brighten up your kitchen using white as the dominant color. White is the most marketable color and never goes out of style. It is associated with happiness and new beginnings. It makes small spaces look bigger. And best of all, it’s easy on the budget due to its availability. - Install hardwood flooring. Hardwood floors are popular among buyers of any age; both male and female. Hardwood adds warmth and coziness to a home. It’s great for open floor plans because it flows beautifully from one room to another. It’s durable and long-lasting. And if “going green” is important to you, hardwood is echo friendly. It’s considered a “green” building material when it has been certified by the Forest Stewardship Council and comes from sustainably managed forests. - Choose cabinets that have clean lines, like Shaker Kitchen Cabinets. The clean lines of these cabinets will be in style forever. Their beauty is in their simplicity. They help limit the “busyness” of the kitchen, creating a soothing, peaceful vibe. They also transition easily should the next homeowner want a change of style. Whether you want a traditional or contemporary look, these cabinets will work for both. - Go with marble countertops; specifically, Carrara Marble. Carrara marble has been used in homes for centuries. It looks fantastic in a white kitchen, but also with other colors. It’s affordable and readily available and will last for generations. You will find some critics who will tell you that it stains easily, but that can be avoided with proper sealing. If you want a truly timeless look, Carrara marble is the way to go. - Include smart storage. If you currently store many of your kitchen supplies in other areas of the home due to lack of storage space, now is the time to change that! Cabinets that are being made today feature a plethora of storage options including shelves and compartments that unfold, extend, slide and turn. Have fun and be creative when designing kitchen storage. You will love your new kitchen and future potential buyers will find it irresistible! If you are considering selling your home, let Melissa Thompson and the Your Key to Memphis Team guide you through the process. Give them a call at 901-756-8900 today! Cordova TN Open House Sunday, April 29! For more information, contact Melissa Thompson at (901) 729-9526. Visit http://www.crye-leike.com/memphis/10025064 to view more pictures of this property. 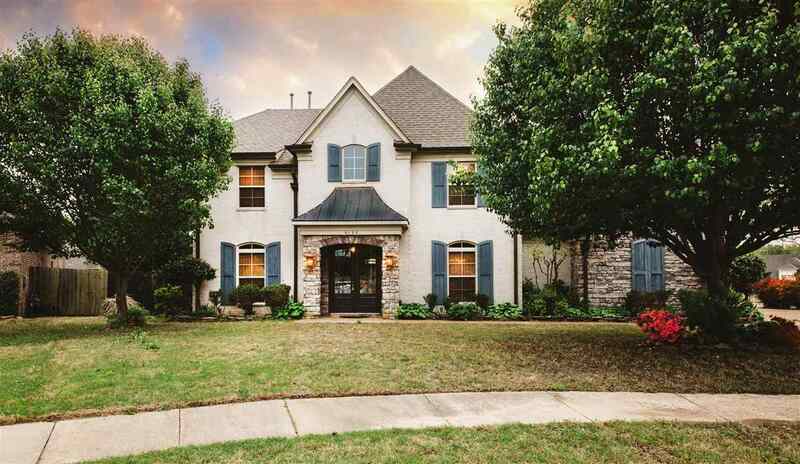 AMAZING 2-Story, 5BR, 2.5BA Home in the Cordova Club Subdivision Featuring Freshly Painted Interior & Exterior, New Alaskan Window System in Master, Kitchen & Den, Gracious Entry, Spacuous 2-Story Great Rm w/Loft Overlook, Host Dinner Parties in the Lovely Formal Dining Rm, Updated Eat-In Kitchen w/Full Complement of New Appl Opens to Fabulous Hearth Rm w/Cozy Fireplace, Romantic Downstairs Master Suite w/Luxury BA, Laundry Rm w/Cabinets, Wrought Iron Sec Doors, 2Car Garage, Delightful Deck! Looking for a place to grab some local fresh produce, artisan crafts, food, or even live music in Memphis? Lucky for you, Memphis has several farmers markets that you’ll want to check out. Every Saturday starting April 5. Summer hours are from 7am-1pm. Winter hours are 9am-1pm through December 13th. Every Wednesday (starting June 28th) from 4pm-7pm and running through September 27th. What: Check out what/who they’ll have each week here. Interested in volunteering as a farmhand on Thursday nights? Contact Michelle Johns at 901-757-7375 or mjohns@germantown-tn.gov. Go here to find more resources through the Food Landscape Map of Memphis. House hunting can be overwhelming sometimes, especially for first-time home buyers. Chances are you might get caught up in the process and important details might slip by you. While the number of rooms, condition of the kitchen, and size of the yard are important, there are other things to consider before you make an offer. This list of things to look for can help get your search off to the right start. They say that the 3 most important things to look for when buying a home are location, location and location. While a home might not be perfect, loving your neighborhood and neighbors can make all the difference in living with imperfection. And face it…you can change almost anything about your house, but you can’t change its location or the people living nearby. When you go house hunting, make sure to consider the home’s proximity to your work, the appeal of the neighborhood, where in the neighborhood the home is situated, ease of access, noise from neighbors, traffic, pets and access to parks, shopping, schools and public transportation. Beyond location, look at how the home is situated. If the home is on a hill does it have a view, a walkout basement, or lots of stairs to climb? Do neighbors' windows look directly into the home? Is the yard suitable for kids, pets, gardening, or other uses? Is their safe access to the home? These are all important questions to ask yourself when determining if it is the right property for you. You may be thinking about buying your dream home. But is your dream home practical? Do you need 4 bedrooms and 4 baths when you live alone? A spacious home may provide the extra room you've always wanted for a home office or a theater room, but you'll pay higher heating bills and have higher taxes. Additionally, it will take more furniture to furnish and money to decorate. Think about how the new home space will be used and whether it will fit your lifestyle now and in the future. Decide how many bedrooms and bathrooms you will need and only look at homes that meet that criteria. You don’t want to fall in love with what is otherwise a perfect house if it doesn’t provide the space needed for your family. It’s smart to consider counting an extra bedroom in that number so that you have additional space for a home office or guest room. If you think you might add on to the home later, make sure you consult an architect who can advise you on space planning and regulations. For many people, the kitchen is the heart of the home. Don’t settle for a home with a kitchen that doesn’t work for you. Yes, you can remodel later, but at great expense. If it’s an easy fix like replacing cabinets or countertops, get a price quote before committing the house so that you will know if it is within your budget to take that on. You may not find everything you want in one house, but keep this list handy and you are more likely to find the home that best suits your needs and desires. Better yet, let Melissa Thompson and her Team at Your Key to Memphis help you find your dream house today! For more information, contact Melissa Thompson at (901) 729-9526. Visit http://www.crye-leike.com/memphis/10024605 to view more pictures of this property. Everything you have ever DREAMED of in a home! 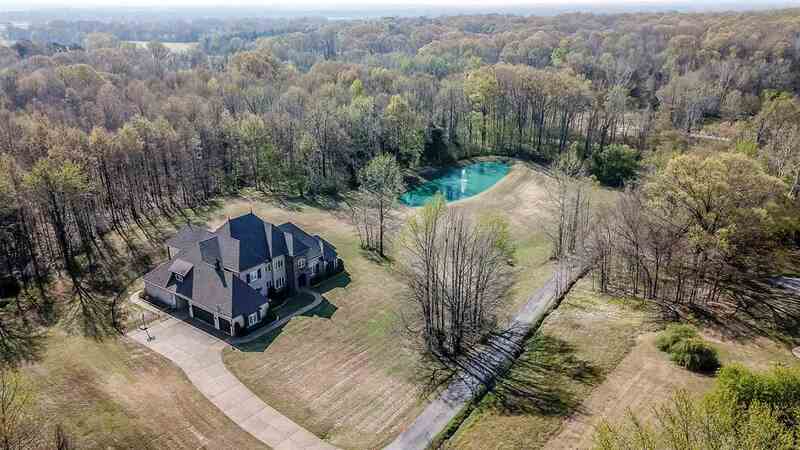 Situated on 4Acres of Pure Peacefulness Featuring a Sparkling In-Ground Pool,Fully Stocked Pond w/Fountain,Gleaming Hardwood Flrs,Home Audio Sys,Smooth Ceilings,Updated Fixtures,Beautiful Molding,Gourmet Kitchen w/Granite & Stainless Steel Appl,Butler's Pantry,Great Rm w/Stone Fireplace,Bonus Rm w/Wet Bar,Romantic Downstairs Master Suite w/Luxury BA,Coffee Bar & 14x13 Workout Rm,Storm Shelter,Backup Generator,3Car Garage,Covered Patios & Balcony! The Southern Hot Wing Festival® is a celebration of the chicken hot wing, the drummie, the flat, flap, and everything in between. Established in 2003 by a local Memphain who felt that the South had more to offer than just amazingly great BBQ, the Southern Hot Wing festival has become a staple event each April bringing with it the warmth and the fire to usher in the Spring! Boasting, on average, around 70+ teams a year, the Southern Hot Wing Festival glorifies the almighty chicken (wing) in much the same way that Memphis BBQ has done with the Pig. As in years past the event will again pack the streets with the sweet smell of hot wings, gregarious participants, terrify music, and entertainment which the whole family can enjoy. So whether you are an aficionado looking to savor some of the best wings around town or you are looking to compete for a shot to show off your best wings… this is the right event for you! Bring your kids, bring your friends and come PIG out on some great wings from the best teams around! The festival takes places April 21st at Tiger Lane from 11 am – 7 pm.